The school began classes in the Cathcart and Flenniken Houses on North Congress Street in downtown Winnsboro, South Carolina. 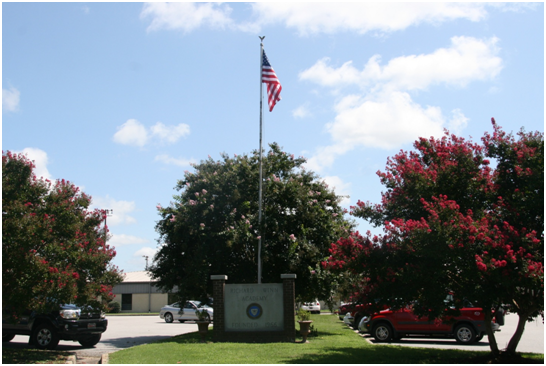 In 1970 the school moved to its current location at 1796 Old Chester Road in Winnsboro. In March of 1984, a tornado ravaged parts of Winnsboro and Fairfield County, including the school campus. Although the tornado did much destruction to the physical structure, the spirit of RWA survived. While classes were held temporarily at White Oak’s Camp La Vida, Winnsboro’s Old Armory, and Washington Street Baptist Church’s Fellowship Hall, the dedicated “Richard Winn family” rebuilt the school on Old Chester Road. Thanks to committed board members spearheaded by Chairman Bob Westbrook, parents of RWA students, faculty, alumni and community members, an even nicer facility emerged. The rebuilt facility exists today but improvements and expansions have occurred over the years to meet the changing demands of academic and athletic programs. partnering with parents and other significant adults in students’ lives to help students develop values, self-discipline, effective decision-making skills and independence. Students attend school for 175 days divided into four nine weeks grading periods. The school day for kindergarten through grade twelve students operates from 8:00 AM until 2:30 PM. Prekindergarten students attend school from 8:00 AM until 12:00 Noon. For a nominal fee day care is available until 6:00 PM on school days for prekindergarten through fifth grade students. The school serves approximately 200 students. The Board of Directors is committed to a low student-teacher ratio that promotes positive relationships between teachers andstudents and between parents and teachers. Also, the small class sizes at RWA facilitate appreciation for each student’s unique abilities and talents. Additionally, teachers are available after school for a short time each day to provide tutoring. Richard Winn Academy is accredited by the South Carolina Independent Schools Association (SCISA). SCISA defines quality standards that schools should meet in the areas of student development, curriculum, personnel qualifications, governance, administration, organization and management; physical plant and facilities, financial management and overall school environment. SCISA uses a basic and an advanced set of evaluative criteria to assess a school’s effectiveness. RWA meets the requirements for advanced accreditation. Richard Winn Academy is a not-for-profit organization governed by a Board of Directors. To contact a board member, please call the school office at 803-635-5494. School facilities are located on approximately 26 acres of land. The building consists of 33 classrooms inclusive of day care, science and computer labs, a cafeteria area, a gymnasium, an art room, a music/performing arts room and a library. The lower school students are located at one end of the building; classrooms for middle and high school students are located at the opposite end of the building. Common areas the students share, such as the cafeteria and the gym, connect the two wings. Fields and buildings for a variety of sports are located behind the school building.